For ex-cop Tony Valentine, life in balmy Florida provides little R&R. In fact, he’s in demand now more than ever. Armed with a special grift sense, Valentine can spot card cheats and even bigger game whose sole purpose on earth is to relieve a casino of its cash. But when his son, who was going to card-counting school, goes missing, Valentine jets to Las Vegas. Once in town, he is pressed into service—and lands inside a treacherous game with higher stakes than he has ever encountered before. There’s a new casino in town, aptly named Sin, the largest on The Strip: three thousand guest rooms and a gambling floor as big as an airport terminal. The owners of Sin want Valentine to show them how the scams are done. But these powerful men harbor ulterior motives: They want to use their newfound skills to put a rival casino out of business. Sin’s competition is the Acropolis, run by Valentine’s longtime pal. Nick taps Tony to figure out how an amateur won $50,000 at his blackjack tables. But the small job is full of landmines. For starters, the suspect bears a strong resemblance to his late wife. What’s more, Valentine’s son is still M.I.A. Upping the ante, a dead stripper is found with Valentine’s calling card—and her grief-stricken boyfriend is vowing revenge. 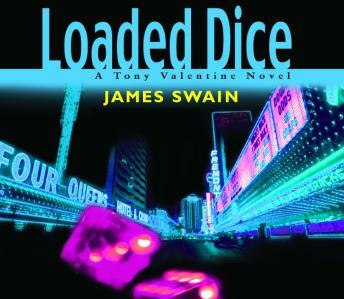 Yet in a city where barracudas wear pinstripes, time seems motionless even while it flies, and reality and illusion shift depending on the neon light, a greater threat maneuvers through the streets: an all-new breed of criminal with an agenda propelled by fury that will shake not just Valentine, but the city of Las Vegas.